As you all know I've caught the running bug and have been entering local races, and eventually hope to build up to the London Marathon. Those who want to get into running and have a little fun with it, I definitely recommend The Color Run. It's a new concept to the UK, but has been happening in the US for a little while now, and I signed up to the London event which took place Sunday 14th at Wembley. We were running for Stand Up To Cancer, part of the Cancer Research campaign, it's not a timed race, it's more about having fun and taking part in something special. 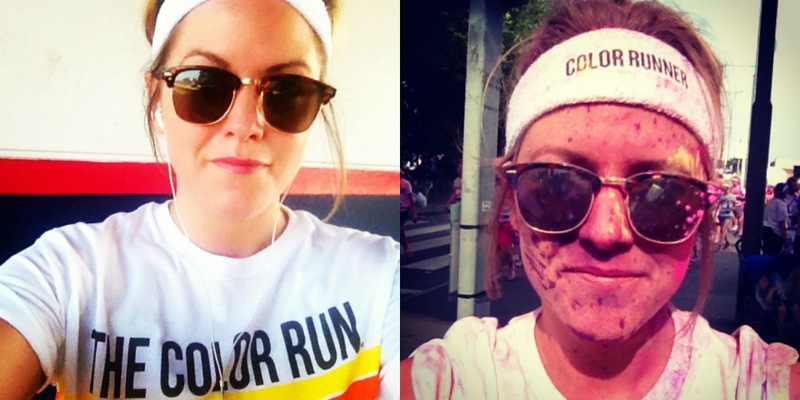 For every kilometre you do, there are colour volunteers ready to hit you with brightly coloured paint. 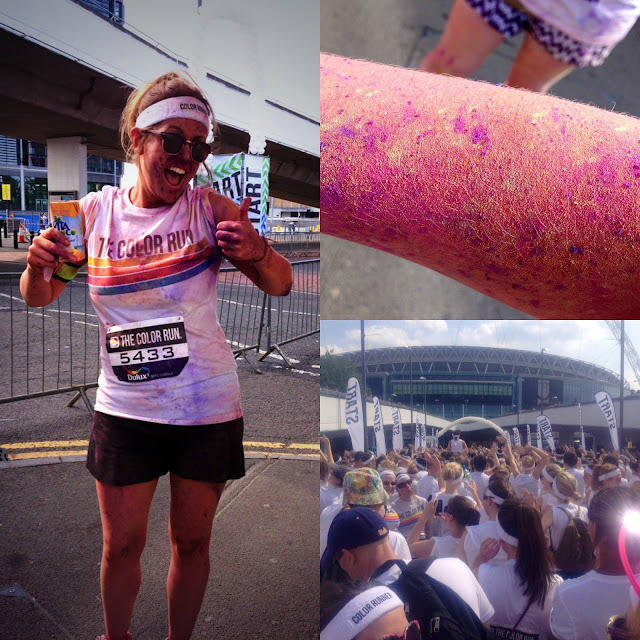 Start in white, end up looking like you've run through a rainbow. Simple! And of course I had to share a before and after shot. Got more than a few dodgy looks on the train home! Three showers later and I think I've finally got the paint off me. I've kept my t-shirt as a souvenir of the day and next time I'm hoping to rope in a few friends. If you have any spare change left over from the weekend and fancy helping me reach my target then please pop over to my justgiving page and donate. There is still time and it's all for a very worthy cause. That's a lovely idea. I didn't realise volunteers covered you in paint as you ran, brilliant! !